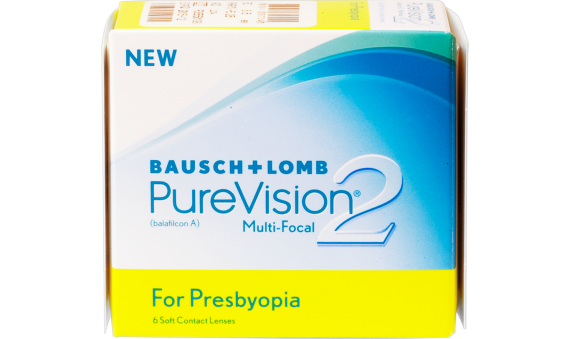 PureVision® 2 Multifocal contacts are made from balafilcon A. This is an innovate silicone hydrogel material designed specifically to provide crisp vision, comfort and health for the demanding use of a contact lens. 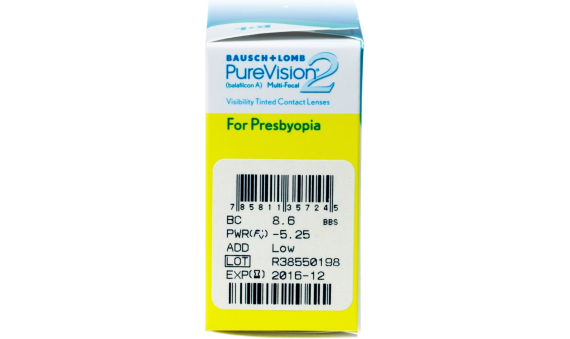 PureVision® Multifocal contacts are the only commercially avaialble multifocal contact lens indicated for either daily wear or extended wear up to 30 days specifically for correction of nearsightedness or farsightedness for people with presbyopia.